Maximize your sales potential by investing in a Glass Door Merchandiser. This unit measures 54" in width, and has two triple-pane sliding glass doors that open and close with ease. LED interior lights line the doors so that you can clearly see the products that you choose to put on display, while the bright white interior attracts even more attention. 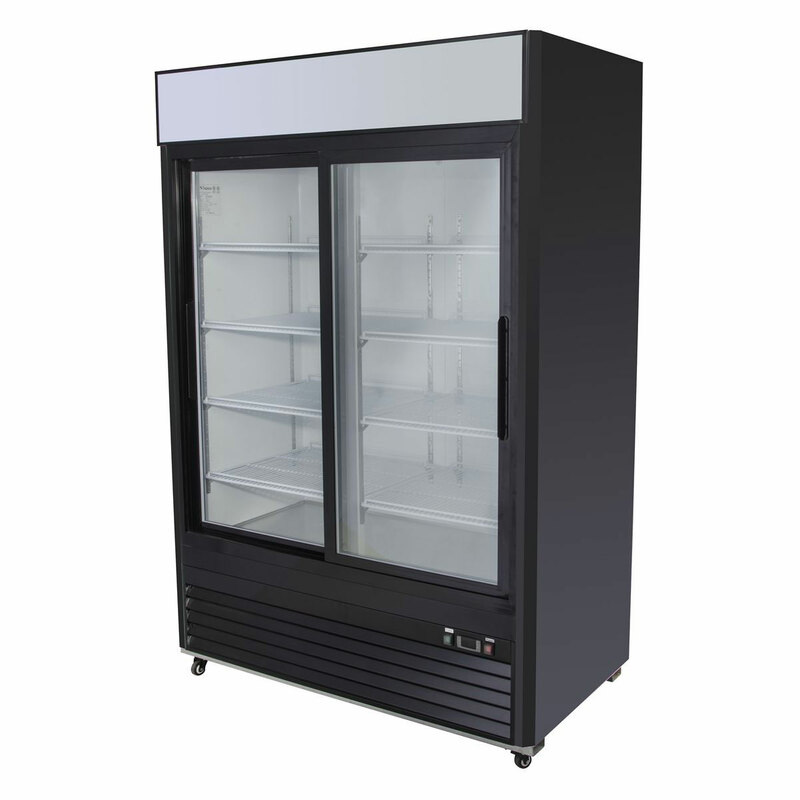 With 47 cubic feet of refrigerated storage space and eight fully adjustable shelves, you can easily customize this unit to fit your needs. Additional features include factory installed heavy duty casters, CFC-free polyurethane insulation, aluminum lined interior, stainless steel floor, and a bottom mounted compressor unit.